When I was named director of brand management and marketing at Hallmark, most of the company’s leadership team viewed the company as a greeting card manufacturing company. With the advent of the Internet, it was easy to foresee the demise of “ink on paper” greeting cards. I felt it was my duty to get the company’s leadership team to think about our business more broadly. Ideally, brands stand for customer values and benefits, not specific products. 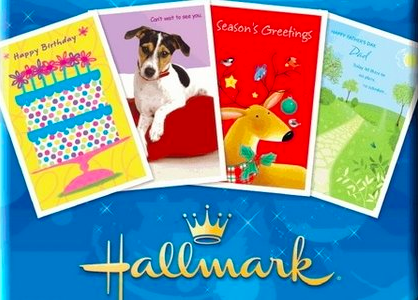 At the time, Hallmark was mostly manufacturing “ink on paper” products – greeting cards, giftwrap, paper plates and napkins and related products. It also produced calendars and day planners. It outsourced collectable Christmas ornaments and other small gifts. Most of these were produced in Asia. I saw an opportunity for giftable candy and flowers and other “just a little something” gifts. In fact, we worked with another Kansas City company, Russell Stover, to produce a co-branded upscale giftable chocolate collection. And a group of us proposed a national florist network acquisition that far exceeded all of the company’s financial hurdles for new businesses and provided a platform for online order processing and significant add-on sales. The best part of that acquisition is that the revenue and profit streams were very predictable for five years into the future due to outstanding yellow pages contracts (guaranteed first full page ad under “florist” across the nation). The best part is that Hallmark did not need to handle the flowers. It just recruited the right high quality florists, gave them a portfolio of floral arrangements to sell and processed people’s purchases by credit card. The company’s leadership team turned this opportunity down due to risk aversion. I led the company into the digital age by innovating and launching “The Birthday Times,” “Letter from Santa,” “Peanuts Personalized Cartoon Strips” and other personalized social expression products printed in card shops using Tandy computers. I also developed a joint venture with Microsoft to create “Greetings Workshop,” greeting card software for the home. After that, I was on the advisory committee for the first website that would produce Hallmark’s online greeting cards. And I developed the concept and business plan for a joint venture with Kodak that focused on personalizing wine labels, ties, calendars, scrapbooks, t-shirts and a wide variety of other products with personalized photos and messaging. This joint venture (Image Gallery) was headquartered in Colorado and lasted for a few years. In an earlier career role, as a new business strategist in Hallmark’s Product Discovery & Development division, I developed and tested the concepts for experiences and services as gifts, “just a little something” gifts and products for grandparents to share with their grandchildren. We also determined that it was possible for Hallmark to stretch the brand as far as offering branded romantic cruises for couples. So, what happened to all of these endeavors to move Hallmark from a company reliant on manufacturing greeting cards, to a company known for helping people share their feelings and enhance their relationships? The comfort zones of the senior most leaders in the company. They knew how to manufacture greeting cards and sell them through card shops (and later, the mass channels). But they felt far less comfortable with other types of business models. I left soon after discovering that Hallmark would never move that far from its roots, unnecessarily stunting its future growth prospects. In fact, many senior managers left shortly after the corporate officers passed on acquiring the florist network, an acquisition that to this day I believe could have been transformational for Hallmark. So, what are the key takeaways from this example? Do not define your brand as a product category. It will limit its growth potential and eventually lead to its demise. A brand should stand for something and share values with its customers or at least promise customer benefits, especially emotional benefits. The more different types of products that can be offered to deliver on a brand’s promise, the stronger that promise becomes. Defining a brand’s promise based on values or benefits (versus product categories) potentially extends a brand’s life indefinitely. Senior leadership must buy into the brand’s promise and not be afraid to invest in new product and service categories to deliver on that promise. Brands can enter new product or service categories through mergers, acquisitions, joint ventures, licensing or internal development. Don’t limit the way you extend your brand into new categories to internal development only.